Sending important emails containing spelling errors is unprofessional. 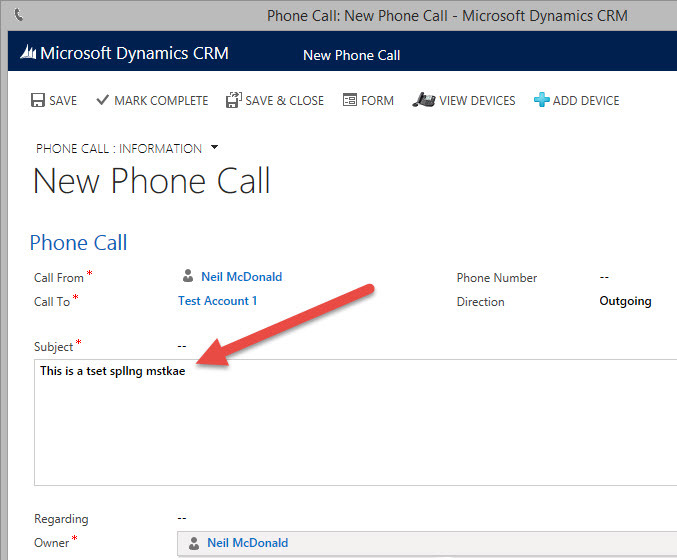 Unfortunately, Dynamics CRM does not come with spell check functionality. The Google toolbar includes a built in spell checker which, when combined with tabbed browsing, makes spell checking CRM emails easy.You’ll need to follow my guide to enable tabbed browsing and also install the Google toolbar. 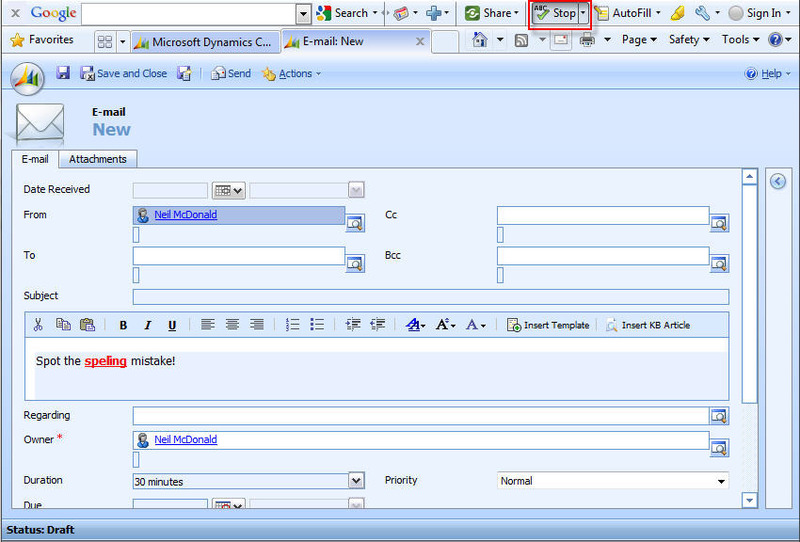 Once it’s installed, just click on the spell check button when writing an email and any spelling mistakes will be highlighted and suggestions given. There are a variety of accelerators that can add this functionality but I have yet to find one for free. Thanks to Craig for the suggestion!